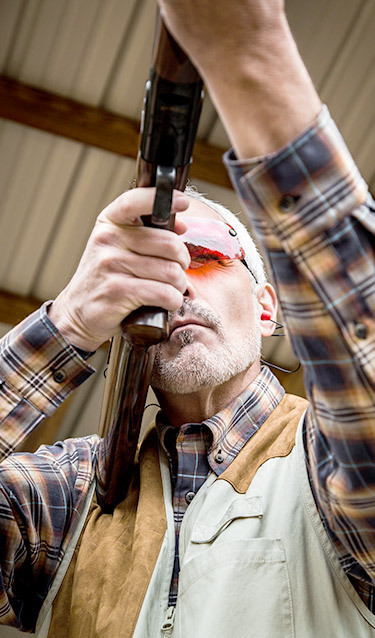 Barnsley Resort has partnered with the iconic Beretta brand and John Burrell’s High Adventure Company, America’s leading provider of high-end sporting adventures, to develop the Beretta Shooting Grounds and elevate the shooting experience at Barnsley’s 3,000 acres of historic Southern estate. For more information or to make reservations, please contact Beretta Shooting Grounds by High Adventure Company at 770.324.8396. Our sister property, Beretta Shooting Grounds by High Adventure Company, offers over 3,000 acres of expertly managed habitat prime for some of the country's best quail hunting. 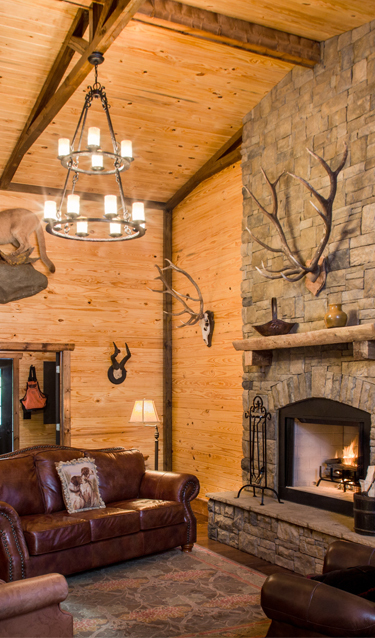 Fifteen zones of rolling hills and flatlands landscaped with an excellent quail habitat and Georgian Pine forests offer challenging bird hunting, while our clubhouse is a welcoming place to relax after a day in the field. Includes unlimited birds, gun rental, shells, and bird cleaning. Please call Beretta Shooting Grounds by High Adventure Company at 470.312.0695 for more information and reservations. This package includes the opportunity to harvest 250 quail between October 2018 and March 2019. This is a one-person package with a guest rate of $25 per guest, per day, limited 3 guests. A guide will be available upon request at $175 per half day and $300 per full day. The package holder will also receive 10% discount on sporting clays, five stand, and 10% discount on retail at the Golf & Sporting Pro Shop, Outpost General Store, The Spa, and Addie’s Boutique with the exception of guns, ammunition and select merchandise. You are required to release a minimum of 15 quail per hunter; with a minimum release of 30 birds per course. In addition, guided hunting parties are required to release a minimum of 50 birds per course. This package includes the opportunity to harvest 500 quail between October 2018 and March 2019. This is a one-person package with a guest rate of $25 per guest, per day, limited 3 guests. A guide will be available upon request at $175 per half day and $300 per full day. The package holder will also receive 10% discount on sporting clays, five stand, and 10% discount on retail at the Golf & Sporting Pro Shop, Outpost General Store, The Spa, and Addie’s Boutique with the exception of guns, ammunition and select merchandise. This package includes the opportunity to harvest 500 quail between October 2018 and March 2019 and 6 rooms nights at Barnsley Resort, Members do not have to be present for a hunt. A guide will be available upon request at $175 per half day and $300 per full day. The package holder will also receive 10% discount on sporting clays, five stand, and 10% discount on retail at the Golf & Sporting Pro Shop, Outpost General Store, The Spa, and Addie’s Boutique with the exception of guns, ammunition and select merchandise. This package includes: the opportunity to harvest 500 quail between October 2018 and March 2019 and 6 rooms nights at Barnsley Resort* 30% discount on additional standard room bookings. Unlimited Golf with cart, unlimited use of practice facility, 30-day advance tee times. 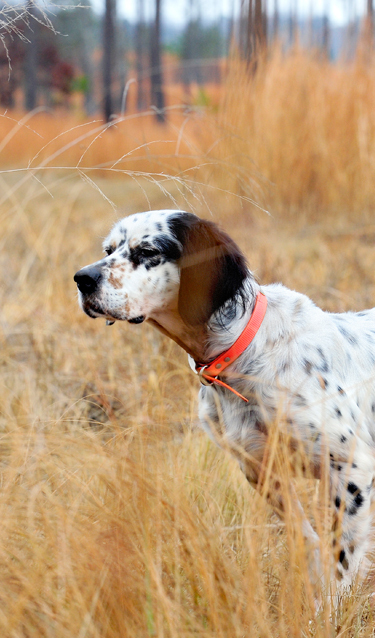 Members do not have to be present for a hunt. A guide will be available upon request at $175 per half day and $300 per full day. The package holder will also receive 20% discount on all retail at the Golf Shop, High Adventure Shooting Grounds, Addie’s Boutique and The Spa at Barnsley, 10% discount on all lessons and classes at both the Barnsley Resort Golf School and the High Adventure Shooting Grounds and Clay Center with the exception of guns, ammunition and select merchandise. 15% discount on standard spa treatments and all outdoor activities. 20% Discount on a la carte food and beverage. Two (2) unguided rounds of sporting clays per month (100 targets each). Ammunition not included. *Applies to one (1) hunting season. If member wishes to renew SO 10 Corporate Membership for additional seasons, a renewal discount will be offered at $7,500 compared to $8,500 per year. For more information about Hunting Memberships at the Beretta Shooting Grounds by High Adventure Company, please call 770.324.8396. Shooting enthusiasts will discover one of the top sporting clays facilities in the Southeast at Beretta Shooting Grounds by High Adventure Company. 2 14-station clays courses boast a diverse layout of shots in the open field, under a natural canopy in the woods and over water with two reclaimed bauxite mine ponds. A covered five-stand features multiple targets for team-building games and friendly competition. For tournaments and special events, an open-air pavilion overlooks an expansive open field. Take advantage of expert instruction to hone your skills or learn a new sport. Rental options and ammunition are available at Beretta Shooting Grounds by High Adventure Company. Alcoholic beverages may not be consumed before or during shooting activities. Includes instruction, gun rental, and 4 boxes of shells. Please contact Beretta Shooting Grounds by High Adventure Company at 470.312.0695. We will review your inquiry and will follow up as soon as possible.